CHRISTIAN EDUCATION - NOT JUST FOR KIDS! health can our church's Adult Study Group have?!! Your online Purchases support the Church! Ms. Kay has a B.A. from Adrian College in Adrian Michigan with teaching certification. She earned her Associates in Christian Education from Hartford Seminary in Hartford, Ct. in 1985. Since that time she has been employed by various Congregational and American Baptist churches in Southeast Connecticut. These positions required the oversight of all Christian Education and youth programming. She directs the Church School and all creative intergenerational activities throughout the year. Under her supervision, two youth groups have been created joining North Stonington and Ledyard Congregational Churches. The groups meet twice monthly. This year a new program was formed which is called First Sunday Spirit Jam. This program brings youth together from several churches in New London County on the first Sunday of the month for music, worship, food, fun, and fellowship. Please contact Ms. Kay for further information. Sunday Church School classes are available for children ages 3 through grade 12, from approximately 10:15—11:15 a.m., under the direction of our trained religious education director. Guests are welcome to come to class, and parents may sit in on classes at any time. A “Safe Church” policy is in place. An ecumenical Vacation Bible School occurs each July. An active Jr./Sr. 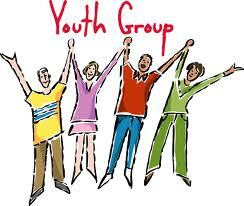 High youth group meets regularly, and participates in various work, service, retreat and social activities. Youth groups have two groups. There is a group for 5th and 6th graders; they meet every other Sunday from 4-5:30 p.m. 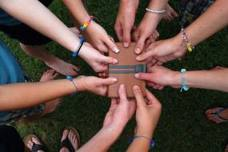 The Sr. High group meets every other Sunday from 5:30-7:30 p.m. Friends are always welcome. Come join the fun!! !